The Galvanized Wine Group are a collective of people with passion and brands with presence, a grouping which brings together Australian wines crafted at McLaren Vintners by the talented winemaker, Ben Riggs, with owners, managers, staff and stakeholders in common. Woop Woop is a collaboration between intrepid winemaker Ben Riggs and vigneron Tony Parkinson, proprietor of runaway success Penny's Hill. 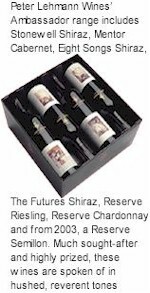 The range includes wines under Mr Riggs own label label - "making the wines I love" - from the Riggs family's Piebald Gully Vineyard and only from other plots considered to be outstanding. Penny's Hill, proudly Australian, more so McLaren Vale from its own high performance McLaren Valley Vineyards. Wigley began building at the turn of the century using Dr. A.C. Kelly's plans of a split-level design that his friend Alec Johnston had used to build the Pirramimma winery. Wirra Wirra is an aboriginal name meaning amongst the gums. Born in 1864, Bob Wigley studied Law and Architecture and managed to play cricket for South Australia. His wild pranks as a young man had already made him somewhat of an embarrassment to his family. In 1893 he was prudently sent to rusticate in McLaren Vale. 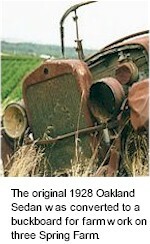 He planted the vineyard in 1894 and made his first wine with Alec Johnston in 1897. By 1901 he was the owner of one of the best wineries and vineyards in the district with 100 acres under vines and 15 acres under currants. The Wicks team are dedicated to producing high quality estate grown wines of exceptional regional character which represent excellent value. 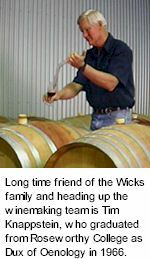 Tim and Simon Wicks proudly front the Wicks Estate Label, armed with a firm belief in long term success, aim to steer the company into a position where the Wicks Estate Brand is regarded as one of the Adelaide Hill’s finest. The Wicks Family has a long history of involvement in agriculture with the Woodside Vineyard following on from their orchard and nursery operations at Highbury. 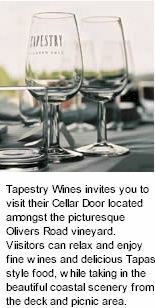 Surrounded by undulating hills and with the waters of the Gulf of St Vincent sparkling in the distance, the view from Tapestry Wines is both relaxing and therapeutic the perfect environment for the discerning wine drinker or your next special function. Estate grown vines are the major source of fruit. The vines span two vineyards within the McLaren Vale Wine Region. 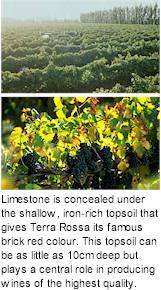 Both vineyards are very low yielding and produce fruit and wines with intense flavour and concentration. Tapestry's commitment to quality has seen this relatively small boutique label receive a number of awards and go on to establish export markets everywhere. Then along came the Cazes family from Chateau Lynch Bages in Pauillac. 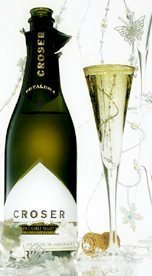 On a trip to Australia in 2002, Jean-Michel and his son Jean-Charles met with Croser and joined the partnership. The driving ambition was to own and make wine from the more than 30-year old Koppamurra Vineyard just north of Coonawarra. Tapanappa was born and Koppamurra Vineyard was acquired in late 2002. The property has since been renamed Whalebone Vineyard. The partnership was founded in a strong, mutually held belief that some pieces of ground are much better than others for the production of fine wine. 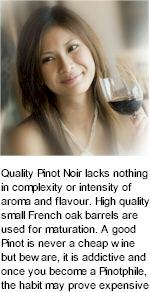 Of course this superiority is highly specific to varieties and wine style. 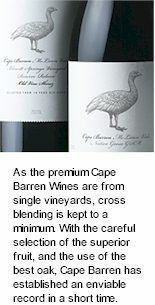 The Whalebone Vineyard and Cabernet Sauvignon in particular have a unique synergy. Croser learned of the wonderful quality of Cabernet from the Whalebone Vineyard 25 years ago when in 1980, he assisted Geoff Weaver to make his very first wine from this vineyard under the Ashbourne label. There are no tales of bravery and courage, and no triumph of the pioneering human spirit. Of suffering and loss, but ultimate victory in the face of adversity all in the interest of bringing you a great drop of wine. Nope. Just a name that comes from some old story about a hungry dog and some German settlers and a bunch of winemakers who are pretty fanatical about what they do. So what Starvedog Lane lack in a colourful and eventful history, they more than make up for with some sensational wines. And at the end of the day, that’s what it’s all about, right? Shaw + Smith's aim is to make contemporary, high quality wines that stand amongst the best of their type, both nationally and internationally. 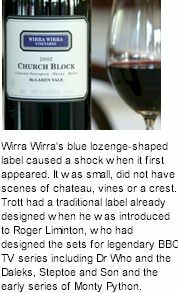 For a wine to be released under the Shaw + Smith label it must be an oustanding example of it's type, from grapes grown in the Adelaide Hills. For the first ten years Shaw + Smith focussed on Sauvignon Blanc and Chardonnay, and now also make small quantities of Riesling, Pinot Noir and Shiraz. 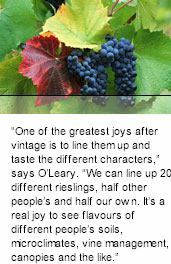 White varieties are well suited to the cooler climate of the Adelaide Hills, while Pinot Noir and Shiraz perform well in carefully chosen sites. Established in 1982, Scotchmans Hill has become a producer of some of Australia's most complex, elegant and consistent wines. Scotchmans Hill is located on Mount Bellarine which was named by the Scottish immigrants who settled the Mount Bellarine area in the 1840s. Mount Bellarine was formed over 30 million years ago by tectonic movement which formed Port Phillip Bay and the surrounding volcanic region of Geelong and Mount Bellarine. Johannes Hugo Bernhard (Ben) Schild, the father of Edgar (Ed) Schild heeded the work of his ancestors thus ensuring that the Schild family would have an impact in this new country. Ben Schild met his wife Freida Alma Schild nee Schutz in the early 1920s and began a family which consisted of eight children raised in the wilds of the Mallee country near the small pioneering town of Lameroo. 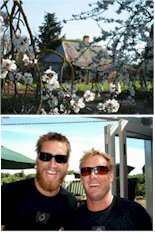 SC Pannell is a small, family owned and operated winery, established 2004 by Stephen Pannell and wife Fiona Lindquist. The winery was founded to focus on Stephen's passion for McLaren Vale and its ability to produce dry grown, environmentally sustainable Shiraz and Grenache. In his capacity as Chief Red Wine Maker at BRL Hardy, Pannell gained an intimate knowledge of the region�s vineyards and sub-regional variations, he was able to secure exquisite parcels of old vine Grenache and Shiraz from low yielding, dry grown sites. He wanted to make wines from the region that express their sense of place and define the character and expression of McLaren Vale. Sarantos is that amazing place - or fantastic state of mind - where everything’s relaxed, and full of fun, good friends, good food and good wine. It’s that place – or feeling you have - when only Sarantos will do. When you want a soft pressed wine that’s so gorgeously slurpable, to be enjoyed al fresco, at friends or in your favourite café or restaurant. Sarantos do everything in the Sarantos-style. Refreshingly relaxed, down to earth and with a great passion for sharing good wine and good food with great friends. Growing up in Western Australia, Tim's interest in wine was sparked at a young age by frequent summer holidays to the Margaret River region. He fell in love with the world of wine, his passion eventually saw him move to South Australia, where he completed an honours degree at Adelaide University's Roseworthy Campus. His first job was with Southcorp, which as Tim puts it "was the best start to a winemaking career that anyone could ask for." For the next 5 years Tim worked with Southcorp, travelling the country plying his craft in the Coonawarra (Wynns) and the Barossa Valley (Penfolds), the Sunraysia and the Riverland, refining his style alongside some of the best winemakers in the country. A rapid rise through the ranks soon saw him vested with the responsibility at the age of 25, of making Southcorp's ultra-premium white wines, including Penfolds Yattarna. In 2001, Tim decided to follow his own path and began RockBare, focusing on Chardonnay and Shiraz from South Australia's McLaren Vale. The name chosen was Riposte, for which the dictionary definition is comeback, a quick reply, retort, or in the context of the sport of fencing a quick counter stroke. The wines, sourced from selected premium vineyards in South Australia’s cool climate Adelaide Hills, carry sword names reflecting the fencing theme. They display the pure varietal characters of this exceptional cooler region. The aim of Riposte is to deliver top quality wines at affordable prices aided by meticulous winemaking, rigourous grape selection and Tim’s 40 years of winemaking and judging experience. 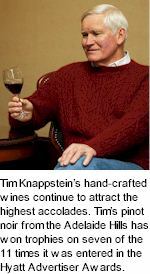 Tim Knappstein stands tall among Australia’s elite winemakers, a third generation vigneron with 40 years experience producing wines of finesse and excellence. Over the next 10 years, Hugh converted the stone barn that had been his home into a cottage. Reilly's Cottage served as the local Cobbler's Shop in the centre of the bustling town, which had boomed with the discovery of slate in the area. Almost 140 years later, the cottage has been restored to its former glory by distant relatives of Hugh, the Ardill family, and once again it is a hive of activity, and home to Reilly's Wines. Only 3 kilometres from the coast, Virginia enjoys the benefits of the cool sea breezes that sweep over the plains in the evenings. Primo built his vineyard with passion and understood completely the life of a vine. The grapes were grown to be turned into wine. His eldest son Joseph grew up with the vines tending them with the rest of the family. Joseph was to be a winemaker. It was not a conscious choice, not an expectation, just a progression, what he had to be. From his very first vintage, at age 20, Primo Estate's Joe Grilli wanted to create revolutionary wines. Ever since, Joe has been doing exactly that; creating some wonderfully dazzling and unconventional wines under the Joseph and Primo Estate labels. The Pikes, long established in winemaking and viticulture, and the Joyce, longtime horticulturists, have come together to develop this 18ha joint venture vineyard at Lenswood in the Adelaide Hills. The vineyard site, which was once apple and pear orchards, is characterized by steep North and East facing slopes and possesses fantastic gravelly clay and loam soils which are ideally suited to the classic cool climate varieties that have been planted – Sauvignon Blanc, Pinot Gris, Chardonnay and Pinot Noir. 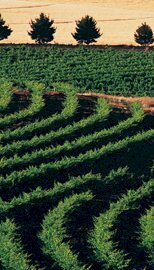 Established by Brian Croser in 1976, Petaluma is one of Australia's most prominent wine companies. In 1981 the Australian Wine Industry was in bad shape. Classic old vines, used to make fortified and red wines, were being removed. Big companies were pulling out of the industry. Twenty four year old Geoff Hardy had recently graduated from Roseworthy Agricultural College and had seen how the Californians were grafting old vines over to new varieties such as Chardonnay. 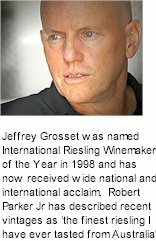 Geoff formed a partnership with Ian Leask who already had a solid history in viticulture and was then managing the Ryecroft Vineyards. The vineyard was available for sale and this is how Pertaringa, an Aboriginal name meaning Belonging to the Hills, was born. Penny's Hill remain committed to producing the very finest fruit from their superlative estate vineyards, the superior Penny's Hill site, Goss Corner and Malpas Road properties. Penny's Hill are housed at Ingleburne, originally owned by Thomas Overton who farmed the land and established a Dernier school on the property in 1848. Ingleburne was established by Thomas Goss who leased and later purchased the property in 1854. Goss had the good fortune to return from the Victorian goldfields some fifteen hundred pounds for the better. 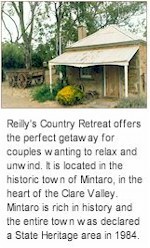 No doubt this enabled him to build the double storied residence, so long a landmark on the way south from McLaren Vale to Willunga. The Paracombe vineyard and winery is located in some of South Australia’s most picturesque countryside, the Adelaide Hills. The surrounding terrain is quite hilly with some parts being very steep, yet our vineyard rests on this exclusive parcel of relatively flat plateau. 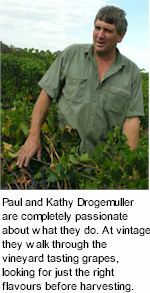 Paul and Kathy Drogemuller established Paracombe Wines in 1983 following the Ash Wednesday bushfires. The property, a former dairy farm was totally ravaged by the bushfire. Despite the devastation, Paul and Kathy could see great potential as a vineyard site and commenced plantings which has grown to close to 16 hectares today. Together with hard work and vision they designed and built a fully operational winery with facility to crush around 1000 tonnes of fruit. Established in 2001 by David O'Leary and Nick Walker, their philosophy is pretty simple, source the best grapes from the best vineyard sites and craft great wine. O'Leary Walker is based at Leasingham in the Clare Valley, South Australia, but they don't limit themselves to producing just Clare Valley wines. 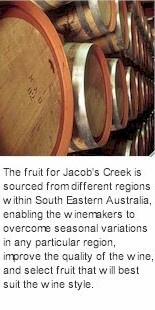 O'Leary Walker also source fruit from other premium grape growing districts in South Australia including the Adelaide Hills, Barossa Valley, Coonawarra and McLaren Vale. The theory behind this is to draw on the grape varieties that excel in these quite different viticultural climates. 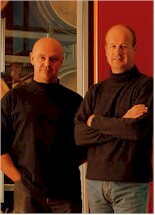 The Longhop and Old Plains range of wines are produced by Domenic Torzi and Tim Freeland. 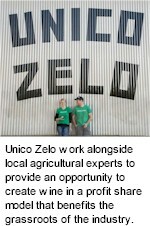 The former Gawler high school mates first mooted the idea of making icon wines from the Adelaide Plains in 2002. Vineyards were secured, the requirement being old vines a priority. The small band of growers have embraced the ideal of delivering premium grapes in order to showcase the power and rich fruit flavours the Adelaide Plains has to offer. 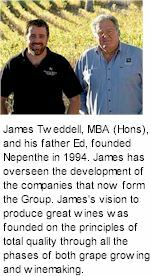 Up in the cool heights of the Adelaide Hills, Nepenthe have been producing some soul reposing potions of their own, uncompromising wines of outstanding quality and internationally recognised distinction. 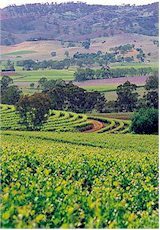 Wines that, strangely enough, have been impressing both critics and consumers with their varietal faithfulness and subtle Adelaide Hills nuances. Located at Kangarilla on the edge of the McLaren Vale designated region, Piebald Gully is a recently planted patch producing fine grade Shiraz, Viognier and Petit Verdot from low yielding hand tended vines. Besides 22 vintages in Australia, Ben has presided over a further eight overseas. 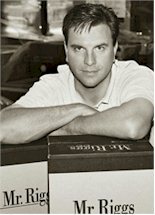 Experience has been gained in the Napa Valley, Bordeaux, Greece, Italy and the South of France which gives Ben a broad appreciation of wine styles and winemaking practices. A graduate of Roseworthy (in 1985), Ben has made a major contribution to regional wine industry activities having served 10 years as a board member of McLaren Vale Winemakers Inc. Three of those years saw Ben in the role of Chairman. 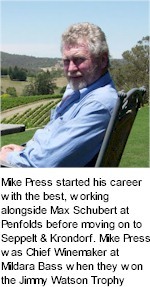 He also chaired the McLaren Vale Wine Show over a 5-year period. Wines made by Ben have achieved considerable Wine Show Awards success including winning the first two Great Australian Shiraz Challenges. More than 20 trophies have been won and in 1993, Wirra Wirra 1991 Angelus was declared the winner of the Sydney International Top 100 wine awards. With a string of awards, the secret to its success lies in a nurtured vineyard, more than four decades of experience, and a commitment to the consumer. Mike Press started his career with the best, working alongside Max Schubert at Penfolds before moving on to Seppelt and Krondorf. Mike Press was chief winemaker at Mildara Bass when they won the Jimmy Watson Trophy. He planted his Kenton Valley vineyard in 1998 to focus on growing quality grapes to on-sell. Boasting 85 acres of scenic beauty, Kenton Valley Vineyards, was chosen because of its cool climate, its altitude of 500 metres above sea level, and its rainfall, which is similar to Bordeaux in France. Initially the focus was on semi-retirement. Mike wanted to get in touch with the land by growing the best grapes possible and then on-selling at the end of vintage. 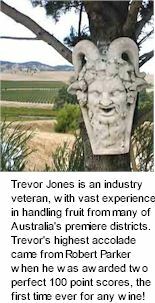 Longview Vineyard is just south of the historic township of Macclesfield in the Adelaide Hills, about 40 minutes south-east of the city of Adelaide. Since its early days as one of the area's largest dairy farms, Longview has now been meticulously restored and developed into one of South Australia's premium wine tourism destinations. The name Longview aptly describes this vineyard which has panoramic views over the property itself and the surrounding countryside as well as far reaching outlook to the Coorong and Lake Alexandrina. At the fine age of seventy six, after a winemaking career spanning nearly 60 years with the family company in Adelaide, Sydney still yearned to make a classic Australian Cabernet Sauvignon and set himself the task of finding the right district in which to establish his own vineyard and winery. Showing great foresight, Sydney selected Coonawarra as the area with the potential to fulfil his ambitious dream. Thus Leconfield was born, named after an English ancestor, Lord Leconfield. 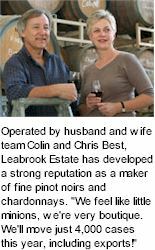 Leabrook Estate specialises in high quality Pinot Noir and Chardonnay and produces wines from a range of other cool climate varieties including Sauvignon Blanc, Cabernet Sauvignon, Cabernet Franc and Merlot. The story of Leabrook Estate started in 1978 around bottles of Burgundian wines at dinner parties. The wines had great character and delicacy. This was the beginning of Leabrook estate founder Colin Best's love affair with Burgundy and things Burgundian. These wines had an extra dimension of elegance and intensity. If old buildings could talk, the hay shed at Lane Vineyard would tell quite a story. It began its days long ago in quiet solitude, the only visitors were a handful of cows and the occasional farmer with his dog. John Edwards searched for two years to find land with the aspect and soils he wanted for his vineyard. When he walked through the old farmgate on Ravenswood Lane, he realised his dream, the land for growing extreme quality fruit for distinguished, complex, sought after wines. 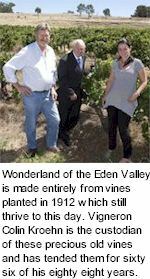 In 1993, Edwards established new vines around the hay shed on Ravenswood Lane. From the very first wines produced under the Ravenswood Lane label in 1996, John’s belief in the terroir was rewarded with exceptional wines. 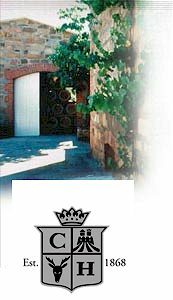 Knappstein are a small producer of premium quality wines, who manage their own vineyards. Redeveloped around the historic Enterprise Brewery building at the heart of Clare township, and deeply connected to the community and cultural life of Clare. The Knappstein name has been involved in the wine business in Clare since 1895. The winery was originally founded by Tim Knappstein as Enterprise Wines, a name utilised for the premium Cabernet Sauvignon vineyard and thus honouring the Knappstein heritage as early winemakers connected with Clare for well over 100 years. In his 57 years of winemaking, the late Jim Barry saw many changes. Jim Barry graduated from Roseworthy Agricultural College in 1947 and was offered a position at the Clarevale Cooperative, becoming the first qualified winemaker to work in the Clare Valley. In 1959 Jim and his wife Nancy purchased their first property on the northern outskirts of Clare and in 1964 purchased 70 acres of land from Duncan McRae Wood, part of which now forms the famous Armagh vineyard. With a growing family to look after, Jim took on the challenge of establishing his own winery and cellar door, with the first home-made wines being produced in 1974. 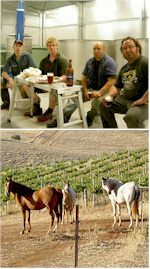 "When I first came to the Clare Valley, grapes were delivered by horse and cart. Today our business is international but one thing won't change, at the end of the day, the wines are what matters!" Jamiesons Run, based in the heart of the famous Coonawarra region was named as a tribute to it's pioneering past. Two men separated by time and distance laid the foundations for Jamiesons Run's creation. The first was Alfred Deakin, Australia's second prime minister with the assistance of Canadian irrigation experts William and George Chaffey and the second was John Riddoch. Established in 1981 by Jeffrey Grosset in the historic township of Auburn in the southern tip of the Clare Valley 100 kilometres north of Adelaide, the winery is stylish but functional and reflects the attention to detail that extends to the Grosset estate-owned Clare Valley vineyards and to the winemaking. Seeing their grapes being trucked away to other wineries and frustrated at not being in control of their fruit from that point, the two opened a bottle of red wine over breakfast and decided then to form a partnership, the purpose of which was to take charge of all aspects of growing grapes, making, bottling and selling their own wine. Brian Croser, chief winemaker of Petaluma has been closely involved in the administration and evolution of the modern Australian wine industry. Established by Brian Croser in 1976, Petaluma is one of Australia's most prominent wine companies. Brian was the head winemaker for Thomas Hardy & Sons before establishing the Riverina College of Advanced Education course of Wine Science and Viticulture in 1976. While at the Riverina College he worked as a consultant to leading wineries and also established the Petaluma wine business in 1976. Chapel Hill Winery is entirely in the Hills Face Zone. In 1990 environmental consultants were briefed to advise regarding development in this sensitive rural preserve. The estate obtained planning approval from the Minister for Environment and Planning in 1991, and built the winery in 1993. Chapel Hill is the embodiment of the wine and food experience delivered using the best of environmental practices by people who are passionate about their product and the McLaren Vale winegrowing region. The Chain of Ponds initially described a creek which ran all the way from beyond Kersbrook to its confluence with the River Torrens near Prairie in the Adelaide Hills, South Australia. The area was dotted at regular intervals with small ponds, having no visible connection above the ground but never drying up even in the driest, hottest summers. Much of the chain of water holes known as the Chain of Ponds vanished under the waters of the Millbrook Reservoir in 1918. 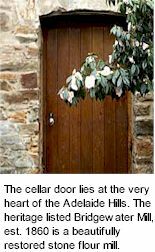 While vineyards have been part of the makeup of the area since colonisation, the Chain of Ponds Winery was the first major planting of any note in the northern area of the Adelaide Hills region. 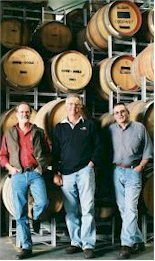 Made by the Petaluma winemaking team, Bridgewater Mill is focussed on producing cool climate Adelaide Hills wines. When coupled with the winemaker's integrity and focus on preserving the cool, crisp fruit from vineyard to bottle, what ends up on your table is a sophisticated yet simple wine designed to enjoy and to share. The perfect accompaniment to any meal, whether you're fine dining or lunching with friends. Brands Laira is today widely regarded as one of the region’s best plantings of Shiraz. With Shiraz being the only wine grape planted in Coonawarra from 1900 to 1950, the variety has played an important role in establishing Coonawarra’s international reputation as Australia’s pre-eminent red wine region. 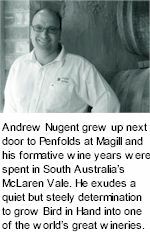 Nugent grew up next door to Penfolds at Magill and his formative wine years were spent in South Australia's McLaren Vale. It was here that he honed his craft as a viticulturalist, vineyard manager and winemaker. In 1997, Nugent planted vineyards and an olive grove on 100 acres on Bird in Hand Road, Woodside. The road itself was named after the Bird in Hand gold mine that operated in the district in the 1850s. The Nugent family now live and work on the picturesque property, reflecting the strong sense of community in the Adelaide Hills. Lindsay Barratt was previously a physician and retired entirely from medicine in 2001 to realise his dream of handcrafting the wine from beginning to end - growing and caring for the vines (which he has done since 1990 when the Uley property was acquired) and, since 2001, taking the grapes through the process of specialised winemaking. After having achieved his Graduate Diploma in Oenology at the University of Adelaide in 2002, he has taken control of all the wine produced under the Barratt label at the Lobethal winery. Barratt sources grapes from two small vineyards, Uley and Bonython, to produce quality wines handcrafted to exacting standards. The Adelaide Hills are a challenging region in which to grow grapes and make win and Lindsay Barratt loves a challenge! Stephen established his 3ha dry grown Ashton Hills Vineyard in the Piccadilly Valley in the early 1980s and began producing its first wines in 1987. The style reflects the region’s strong similarity to Burgundy and production levels have stayed true to the boutique nature of the winery’s beginnings. 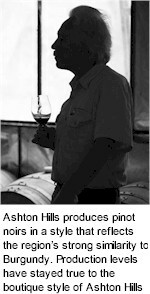 The Ashton Hills Vineyard provides the fruit for the majority of Ashton Hills wines including single vineyard wines in the Reserve Pinot Noir, Estate Pinot Noir and Riesling. As custodian of the vineyard for over 30 years, Stephen has harnessed the three key climate variables (humidity, temperature and rainfall) he believes are critical to the Ashton Hills site and developed a reputation for producing some of the finest wines from the Adelaide Hills. 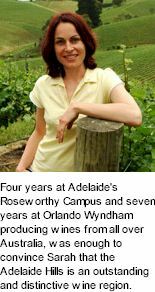 Sarah wanted to showcase South Australia's Adelaide Hills as an outstanding cool climate wine region, selecting specific varieties and handpicking quality fruit. 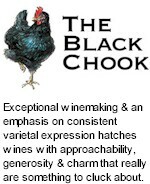 This has allowed her to create fresh, varietal wine styles with depth and obvious regional character. "My aim is to produce wines from varieties that thrive in the cool climate of the Adelaide Hills, each showing strong varietal character and distinctive regional expression."